James A. Devine practices both public and private sector employment law. His background includes service on active duty as a U.S. Marine Corps lawyer, as an assistant Illinois state's attorney, and assistant Illinois attorney general. He spent over twenty years as a civilian in the Pentagon before returning to Illinois. 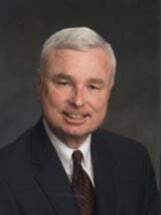 A former Eagle Scout, Mr. Devine was raised in Chicago, Illinois and received his Juris Doctor degree from DePaul University.